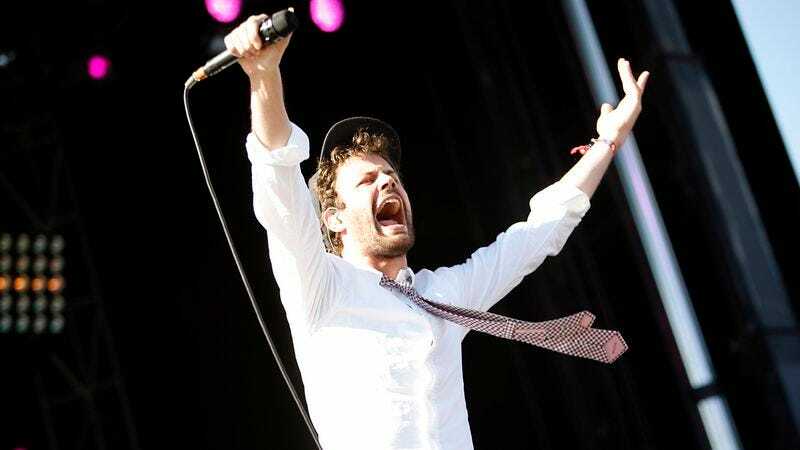 According to a press release, Passion Pit singer/songwriter Michael Angelakos, former Harlem Shakes member Brent Katz, and director Hana Haley have teamed-up for a Christmas-themed video album and accompanying soundtrack called Merry Christmas, Mr. Fields. Apparently, this is something that Angelakos and Kats have been planning for years, but they didn’t get the push to actually make it until they brought in Haley—who is making her “virtuosic directorial debut” with this project, as the press release puts it. Merry Christmas, Mr. Fields is described as a “dreamy World War II” musical that takes inspiration from some music of the ‘40s, as well as classical musical theater, hip-hop-esque mixing, and “post-Beatles John Lennon and gooey Beach Boys” earnestness. The video album is framed as a theatrical adaptation of the story put on by children, and it was filmed in four days at the private school in Buffalo, New York that Angelakos attended as a child. The album will be available on Friday, and you can hear/see the first single below.